An interesting read via the latest edition of LiDAR Magazine looks at FEMA and their history and affinity with LiDAR data. From the article by David Maune… In 1994, Brigadier General Gerald E. Galloway chaired the Interagency Floodplain Management Review Committee following the devastating floods of 1993. LiDAR, all the cool kids are using it! 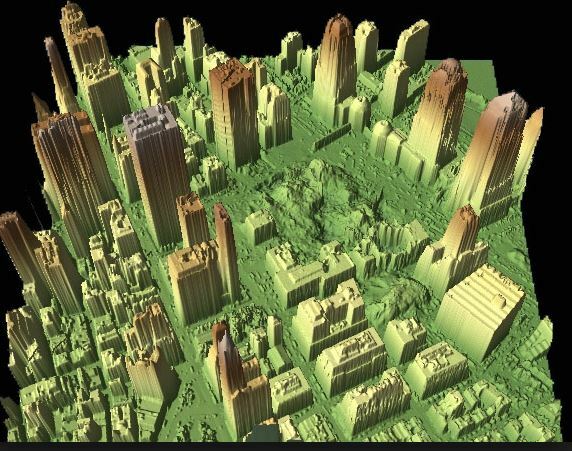 But what exactly is LiDAR data and where can I get more info you might ask? And so, the following info via the USGS might help shed a little light on the topic for you – enjoy! [Read more…] about What is LIDAR? Ever wondered to yourself, how does LiDAR (Light Detection and Ranging) work?? Here’s a simple video that may help should some light on the topic for you. About the video… This NEON Science video overviews what lidar or light detection and ranging is, how it works and what types of information it can provide. The video was produced by the National Ecological Observatory Network – a non profit project devoted to open science and open data. A video interview of interest from our partner site LiDAR Magazine – Live @ Autodesk University 2015: Interview with Matt Mason, Director of Software Development, IMAGINiT Technologies. Topics include:How does the release of IMAGINiT 2016.1 Scan to BIM help architects and designers model reality capture? How does the release of IMAGINiT 2016.1 Scan to BIM help architects and designers model reality capture? How does SCAN to BIM add value to 3D laser scanning? What trends do you see in reality capture and how will this effect IMAGINiT’s software development? Video – What is LiDAR? LiDAR can be considered an acronym for Light Detection and Ranging. It is a remote sensing technology that’s used to measure distances, and it doesn’t act on its own. It actually — LIDAR typically includes three independently operating technologies. In this video Dewberry Director of Remote Sensing Amar Nayegandhi explains the science and technology behind Light Detection and Ranging (LiDAR) services. [Read more…] about Video – What is LiDAR?